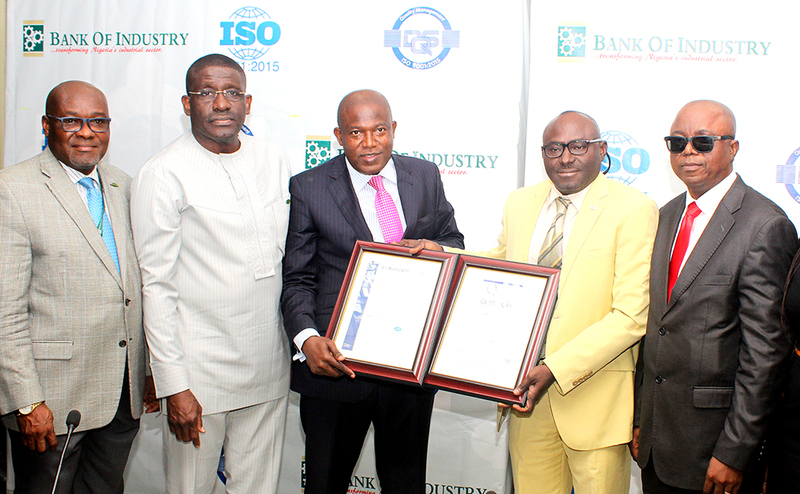 Following the successful implementation of the ISO 9001:2015 Quality Management System (QMS) Certification Programme, we are delighted to announce that the Bank of Industry has been awarded the ISO 9001:2015 Quality Management System (QMS) Certification by DQS GmbH; one of the foremost and globally recognized ISO Certification Institutions. This Certification sends a strong signal to all our stakeholders with respect to the Bank’s sheer commitment to quality and customer service. We should, however, all be mindful of the fact that this Certification marks the beginning of a 3-Year QMS Cycle, during which the Bank is required to continually maintain high standards and improve its Management Systems. Therefore all hands must be on deck to ensure that we pass both the internal and external ISO audits as they take place within the cycle and beyond. In this light, we shall continuously engage process owners towards ensuring a successful Internal Audit that is planned to take place before the end of Quarter 1 of next year. Congratulations to all of us for the hard work and dedication towards the attainment of this laudable achievement!